Here is an awesome article by Kevin Fitchard about Nokia’s unveiling of its connected car platform called Here Auto. After years of being the auto industry’s mapmaker, Nokia on Friday announced its intention to become a much bigger technological force in the vehicle. Nokia took the wraps off of Here Auto, an embedded infotainment and connected car system, which it hopes to sell to the world’s car manufacturers. But unlike other embedded navigation systems, Here Auto isn’t walled off, Van-De-Klashorst said. It’s the same app you access on the smartphone or through a PC browser. All of your bookmarked destinations, preferred routes, contacts and preferences are stored in the cloud and synched between devices. If you map out a route on your phone and PC, the same route will be waiting for in your car as soon as it connects to the network. If the car loses its connection to the internet, the most recent route maps and settings remain saved in the car’s memory. I’m an avid fan of Nokia and it’s Here maps. I’m really looking forward to seeing this come to market and how it evolves. I guess I can always mount my Nokia Lumia 920 Windows Phone and get similar results. 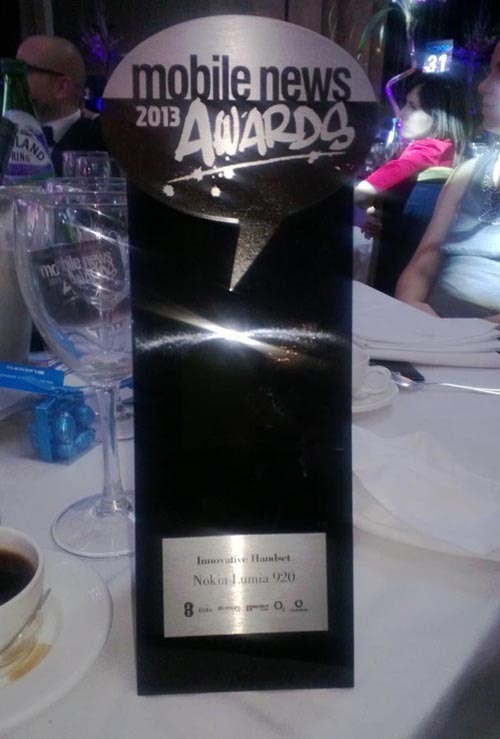 Congratulations Nokia on winning this prestigious award. 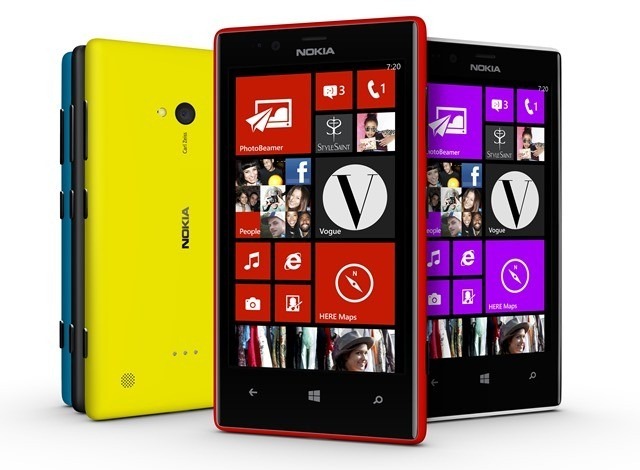 “When you take a look at the Nokia Lumia 920 it’s easy to see why it should be given the award. Not content to simply cram more processing power into an old design, the Nokia Lumia 920 brings innovation to the screen in the use of PureMotion HD+ to deliver the fastest screen refresh rates yet, while the super-sensitive technology means you can use the screen even when wearing gloves. When it comes to innovation in camera tech, the Nokia Lumia 920 delivers Optical Image Stabilisation that is normally only found in high-end video cameras, while the use of PureView delivers stunning low-light images for an amazing experience. Finally Nokia has struck a deal with Dreamworks Animation. Dreamworks will use Nokia’s API to create rich, interactive entertainment experiences exclusively for Nokia devices. No details on what ‘interactive entertainment experiences’ are coming, but we should know more later this year and hopefully see them in the second half of 2013. Excellent post on new announcements for Nokia HERE location apps. Read more. 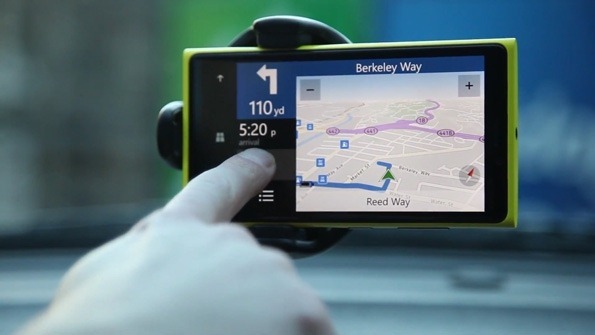 HERE Maps, HERE Drive Beta and HERE Transit are all available for all Windows Phone 8 smartphone users. 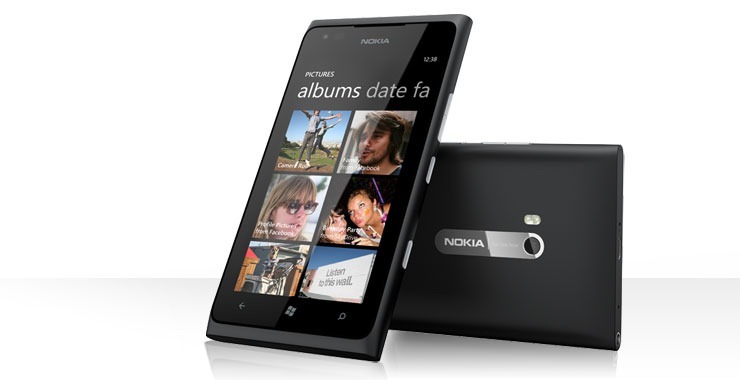 HERE Drive+ and HERE City Lens remain an exclusive for Nokia Lumia devices. I love my Nokia Lumia 920.